Protects against harmful elements that cause fading and cracking. There is nothing more captivating than a car with brilliant shine. Ultra shine protectant wipes deliver the ultimate, long-lasting high-gloss shine with the convenience of a disposable wipe. Fortified with even more of armor alls proprietary gloss enhancers, they deliver breathtaking, intense luster wouldnot believe. And they are from armor all, so can count on their trusted protection. Spray foam 6 inches from tire in a circular and steady sweeping motion. Ensure full, even sidewall coverage. Allow to dry (5-10 minutes). For best results: First wash and rinse excessively dirty or muddy tires. 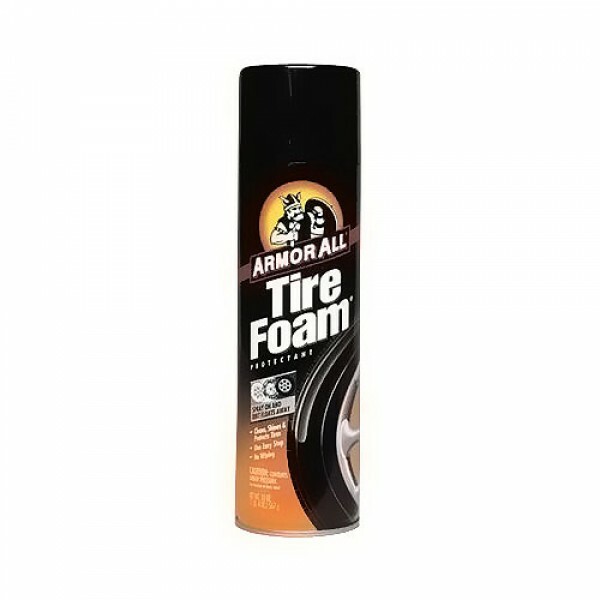 Clean extra-dirty or muddy tires with power wash gel. Attention: Use only on sidewalls, not treads. Avoid overspray on treads, brakes or floors. Do not use on cycle tires. Brake dust and other residue from tire can spot driveway. To avoid, rinse driveway immediately after use. Note: Do not allow wash water to enter storm drains, streams or lakes. Do not expose to heat or store at temperatures above 120 degrees F.